View our schedule and rates, then contact us today to book your trip on the American Eagle. Sign our guestbook to get updates on special trips and events. 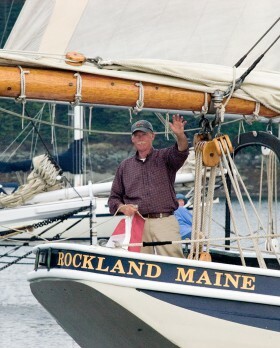 We’re one of the few schooners participating in Windjammer Days in Boothbay Harbor.The schooners arrive in the Boothbay area Tuesday afternoon for a huge island lobster picnic, then sail into Boothbay Harbor on Wednesday and anchor amidst band concerts, a parade ashore and evening fireworks. A good chance to see whales and puffins on this offshore week. Leave No Trace Familiarization ~ We've been refining the practice of leaving a lighter footprint for decades. We'd be happy to go over what we've learned with you and provide you with guidelines for your own adventures. Sail with Captain John Foss and the crew of the Schooner American Eagle for a truly excellent vacation and a great experience. 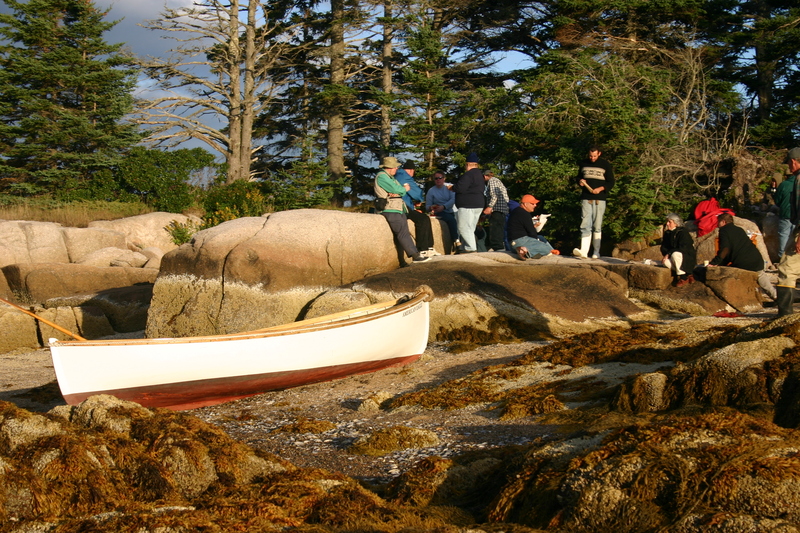 Step back in time and enjoy a leisurely cruise along the coast of Maine. Sail where the wind blows and leave the world behind. The American Eagle sails on cruises of varying lengths, from three to eleven days. In July we will be sailing way down east across the Canadian border to visit Saint Andrews and Campobello New Brunswick and back. Our annual trip to Gloucester Massachusetts to participate in the Mayor’s Cup Race over Labor Day is always favorite, too. There’s always a variety of three, four-, five-, and six-night cruises including moonlit sails as weather permits to accommodate just about any length vacation. Lighthouses, wildlife, and unspoiled scenery are part of every trip. Each cruise is a unique vacation: exciting sailing at a reasonable price. Half of our guests have sailed with us before, or have come on the recommendation of a friend. If we don’t have a trip that fits your schedule, we recommend the schooner Heritage also sailing from the North End Shipyard in Rockland.